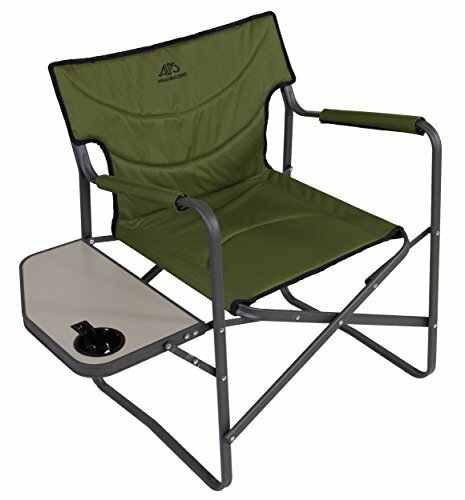 The Creek side Chair is a great chair whether you’re sitting around the campfire, at the kid’s sporting events, or at a family reunion. The included side table is a very neat feature so you can keep your food or drink right next to you and off the ground. With the wide seat and tall back, you’ll have a comfortable place to sit and relax. With the 300 pound weight capacity, you know you’re getting a reliable chair that’s durable and sturdy.